We love everything that goes out our studio door so it's really difficult to narrow down favorite. But here goes nothing. 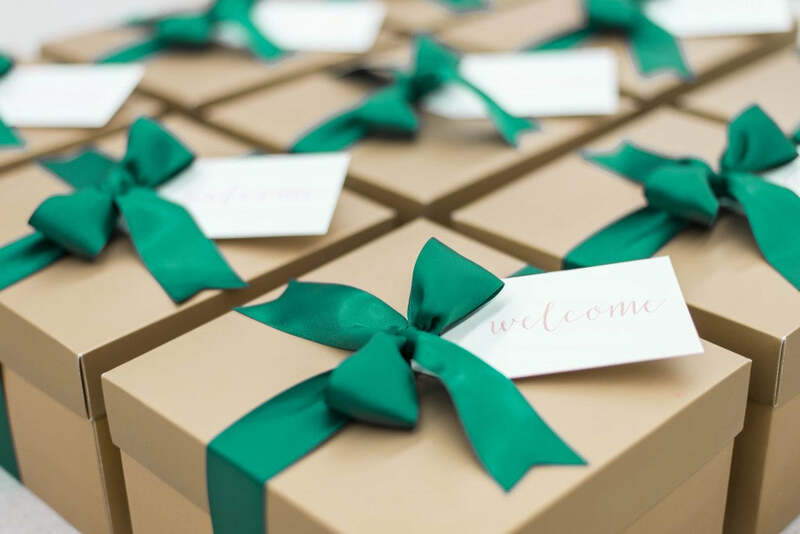 Today I'm sharing our top 10 favorite wedding welcome gift designs of 2016! 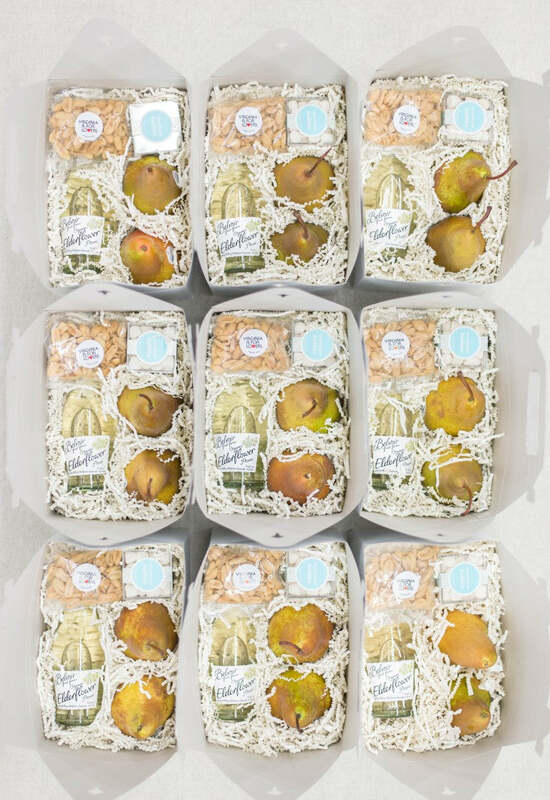 These were a dream collaboration with Washington DC planners Grit & Grace for a french-inspired wedding at the Mayflower Hotel. 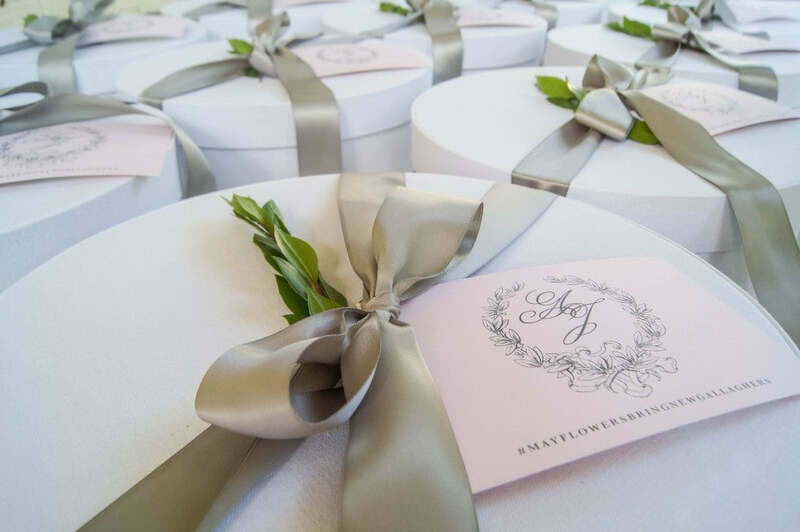 We used custom, fabric-covered hat boxes with satin grey ribbon. 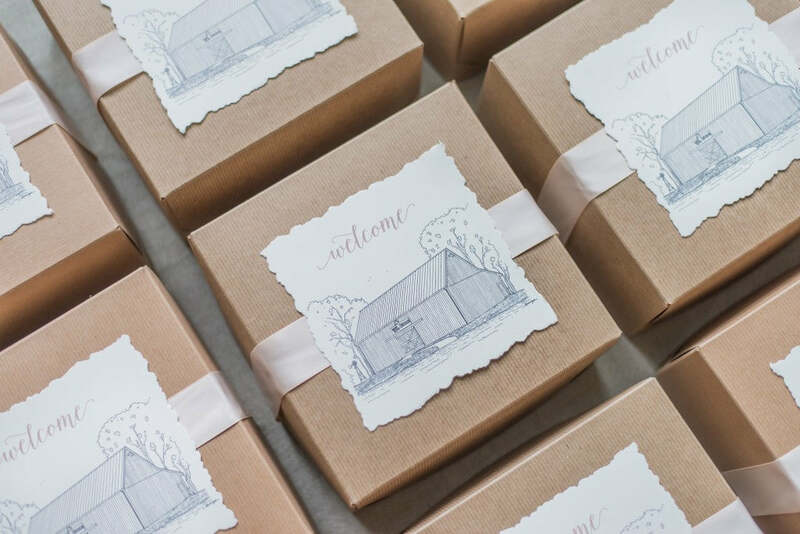 Custom gift tags by Paperzest. 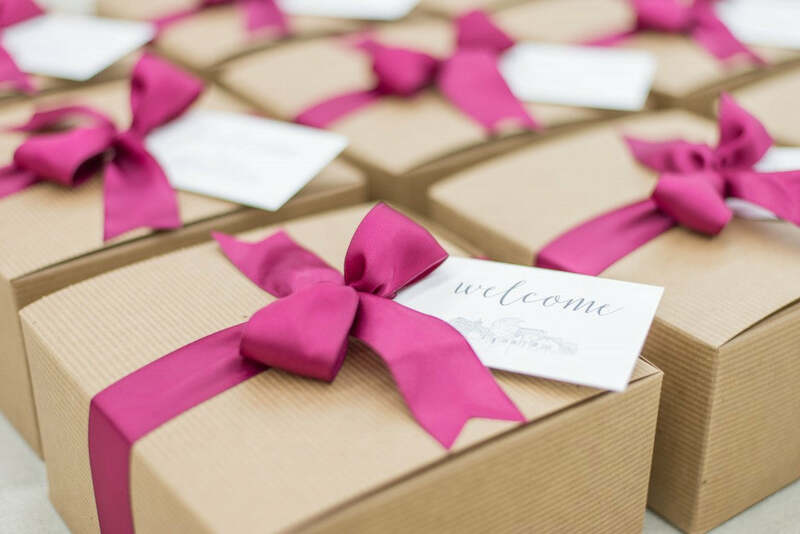 These simple gable boxes packed quite a punch for a fall wedding in DC with Strawberry Milk Events. 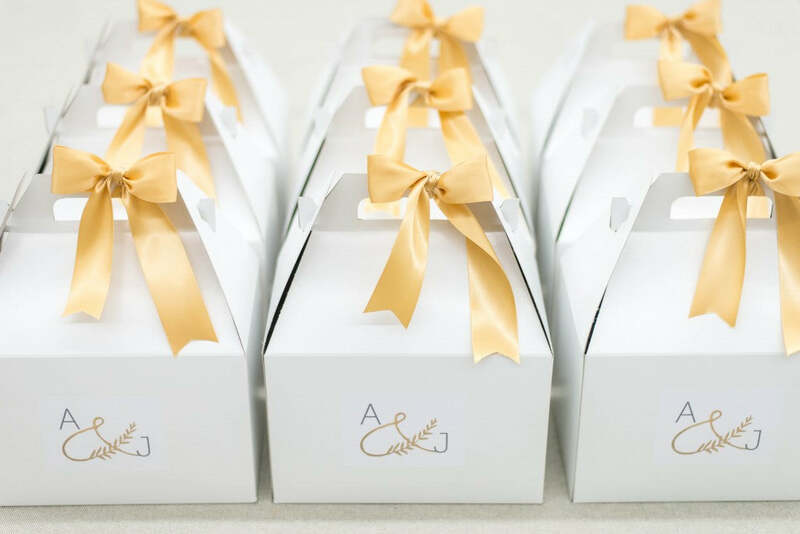 We used the simple logo with color coordinating gold ribbon as accent. 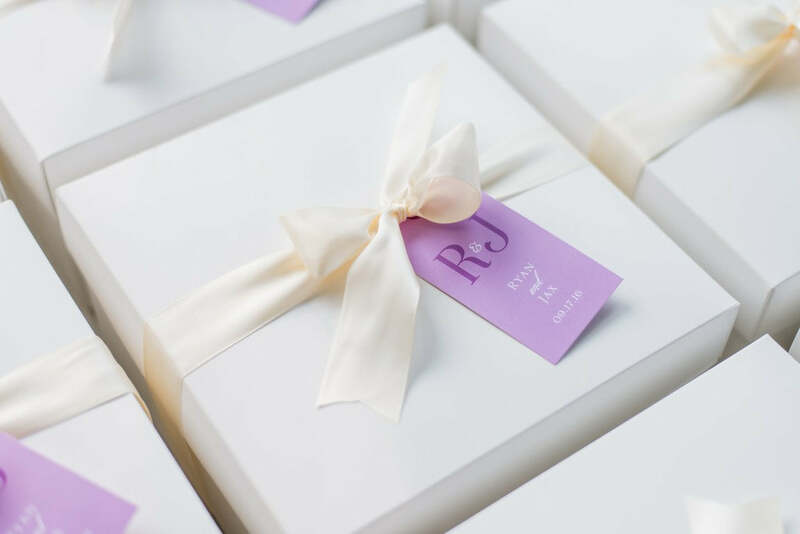 This was our first project with Baltimore-based wedding planning firm Intrinsic Events and oh my goodness, I sure hope it's not our last! 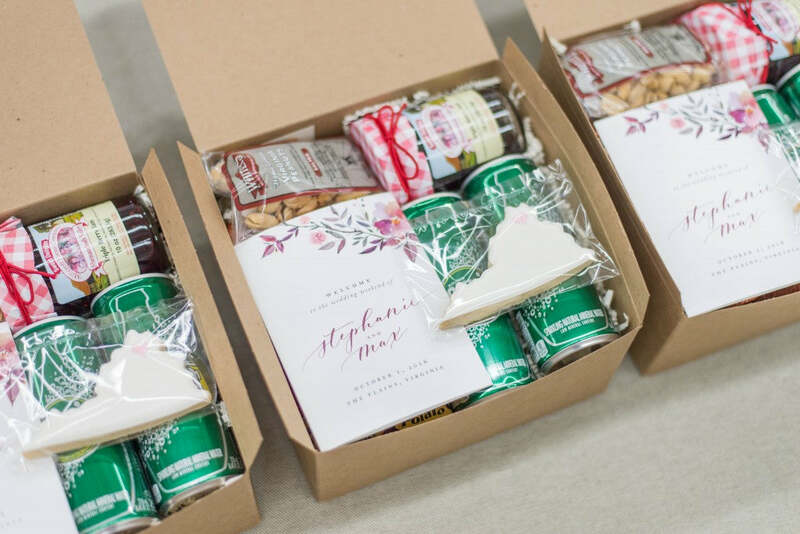 We loved these Maryland-inspired welcome boxes featuring sketches of the wedding location and family property. Paper by Just Write Studios. 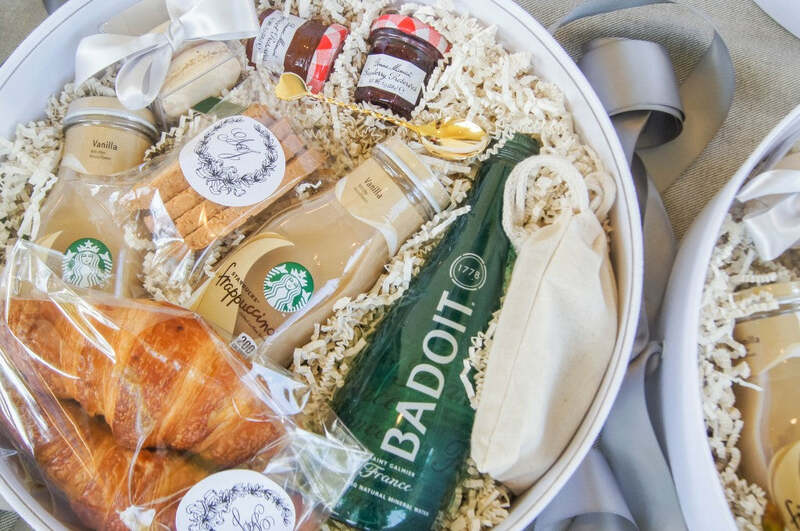 These Virginia-inspired welcome baskets were a dream to create for our client Easton Events for their Pippin Hill couple. The dogwood cookies by Two Sugars Studio, local caramels, and even a fresh succulent were included. Custom paper by Rock Paper Scissors. 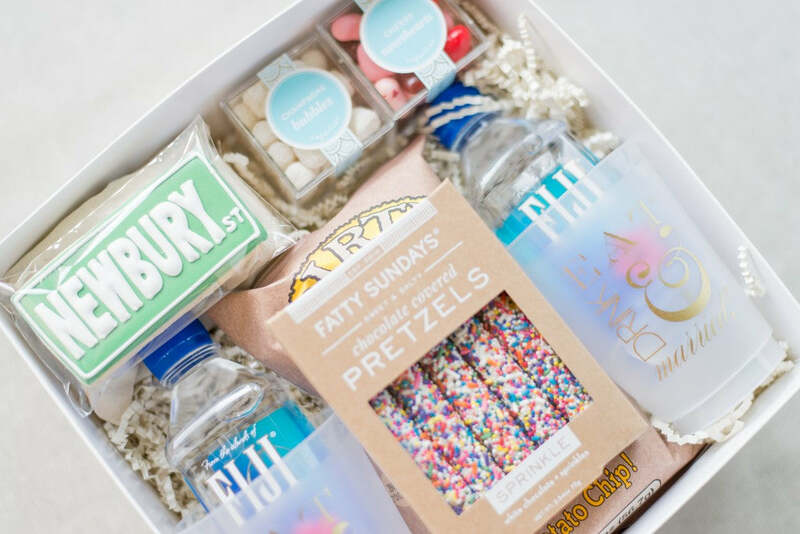 These bright and lively welcome boxes were created for a fun-loving Boston-area couple. We're such fans of neutrals and muted colors around here that this design was a fun way to mix it up! 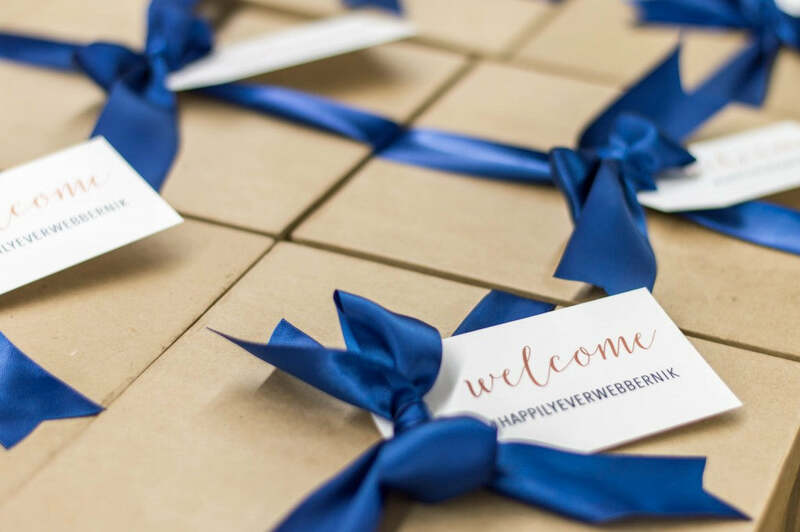 These were the perfect fall-inspired welcome gifts for a Middleburg, Virginia wedding planned by East Made Event Company. 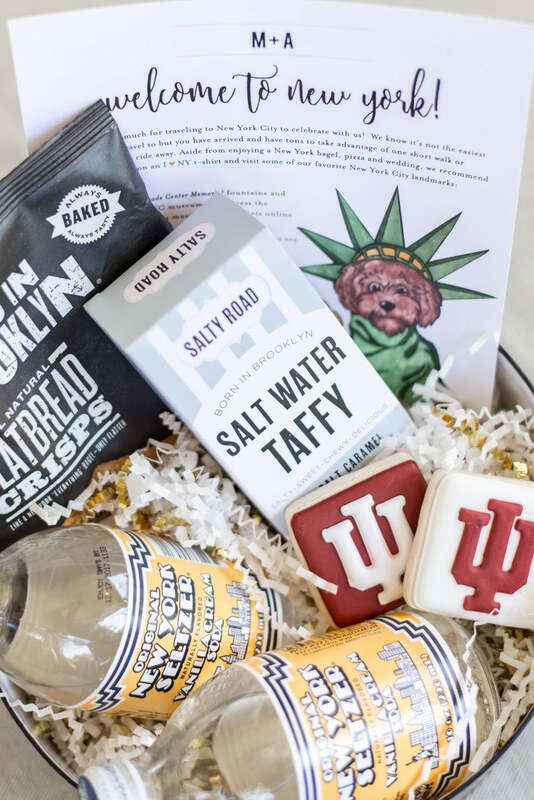 Custom welcome letters by Stephanie B Design along with Virginia-inspired contents such as Virginia peanuts, jam, and even a cookie in the shape of Virginia! Think black tie wedding but way more fun! 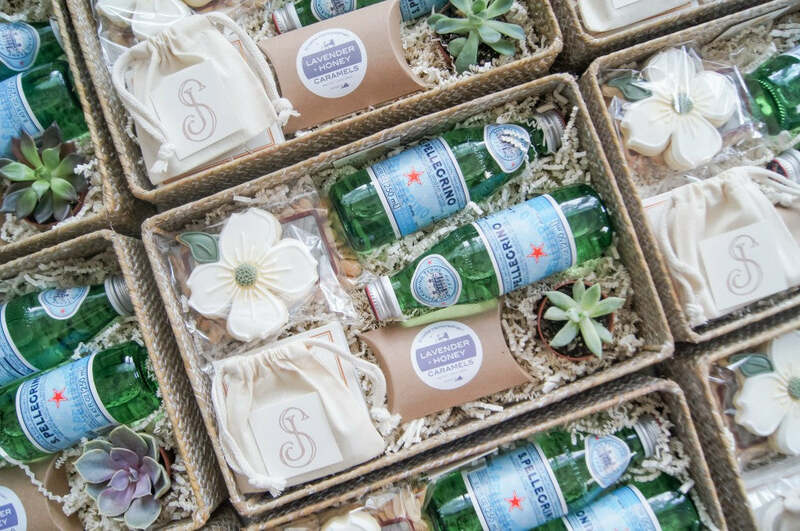 This wedding was planned by Lemon & Lime Event Design and their creative vision for the Brooklyn wedding carried right over to these NYC-inspired welcome boxes. We especially loved the couple's adorable pup posing as Lady Liberty! Cookies by Two Sugars Studio. October was a busy month for us as wedding season was at its height. These were another one of our favorite fall designs featuring nods to both DC and Virginia. 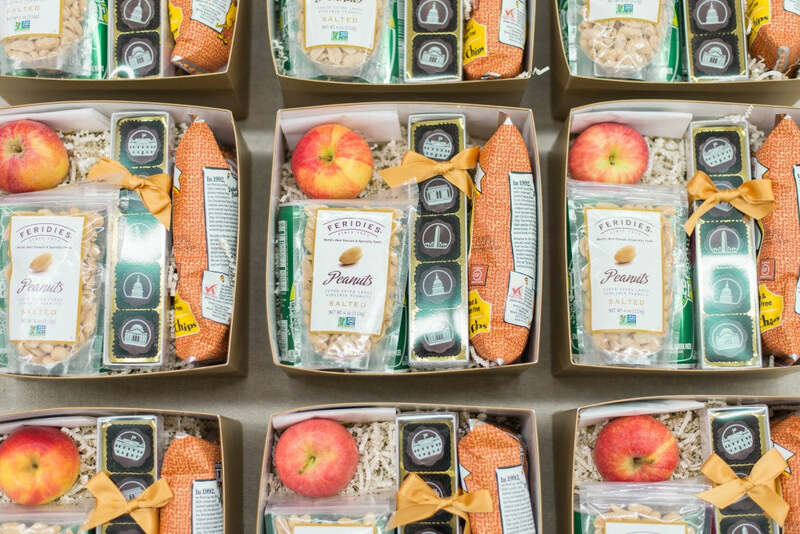 We especially loved the fresh fuji apples added for a pop of color and also a healthy snack option! 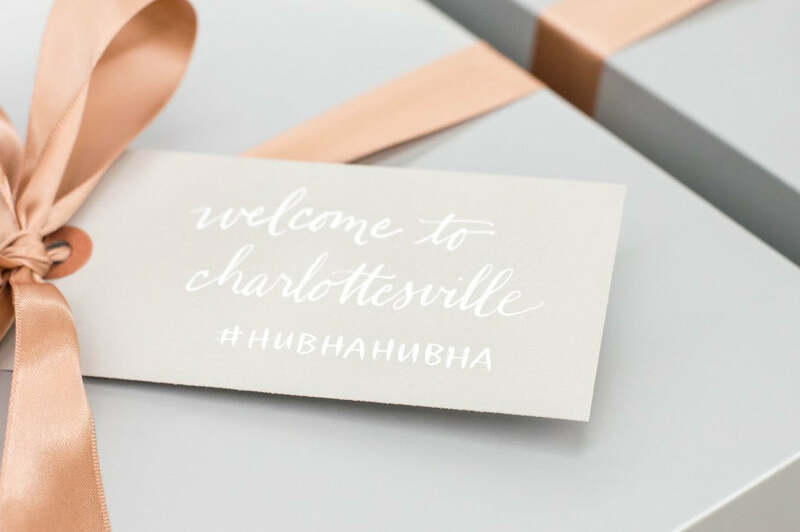 Overall, a dream collaboration with DC area wedding planner Amanda McCabe of Engaging Affairs. We loved Pollyanna Events modern, rustic concept for this Woodend Sanctuary wedding in Chevy Chase, Maryland. 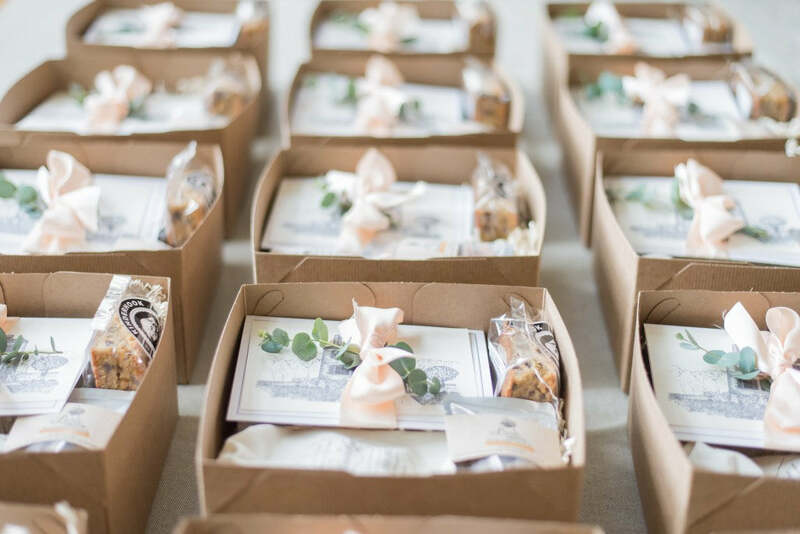 These fall-inspired welcome boxes were packed full of locally-sourced DC items and mirrored the color palette of the woodsy wedding. 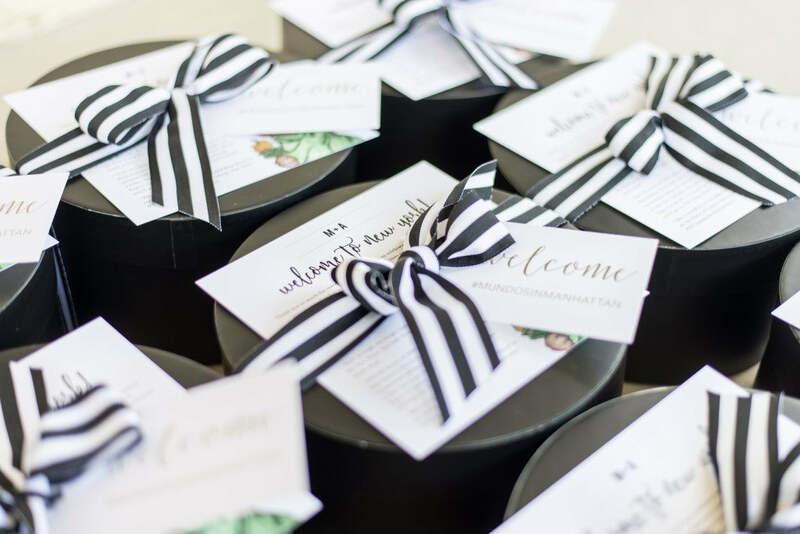 And last but not least, these chic, modern welcome boxes for a Charlottesville, Virginia wedding at the Clifton Inn. This Indian wedding was planned and styled by Christine Godsey of Engaging Affairs. 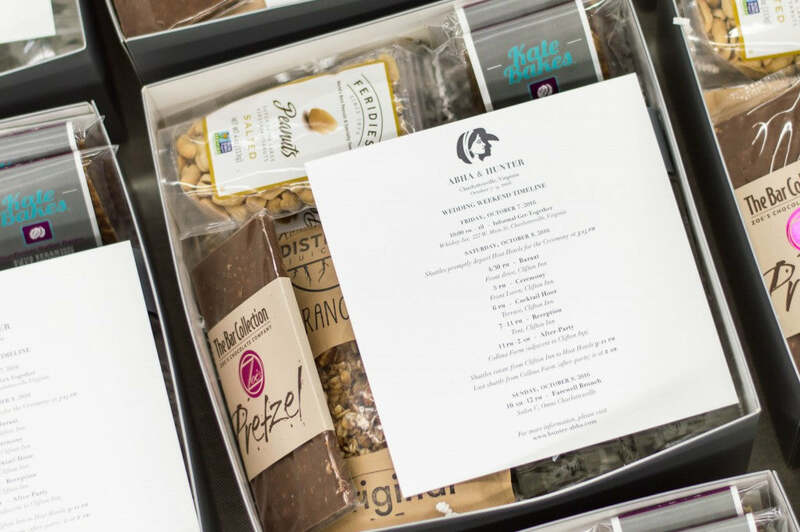 We included locally-sourced DC items, favorites of the couple! 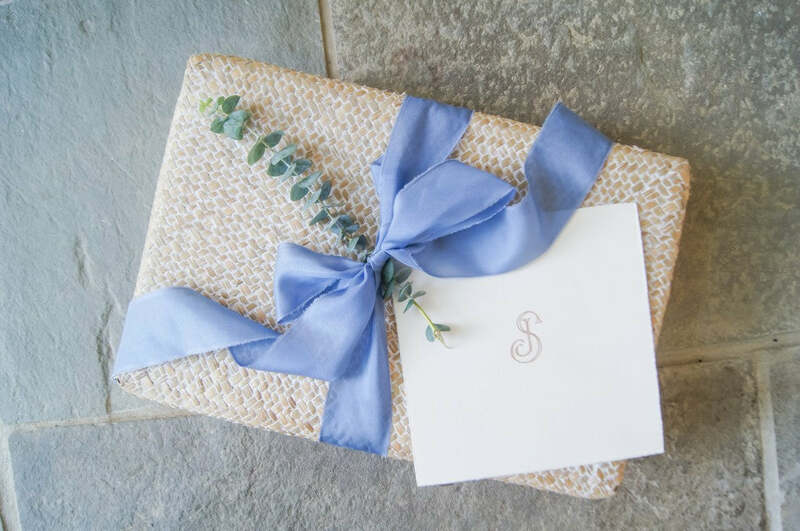 Calligraphy gift tags and welcome letter layout by Just Write Studios. Hope you've enjoyed this roundup! Tell us...which one is your favorite? Let us know in the comments. 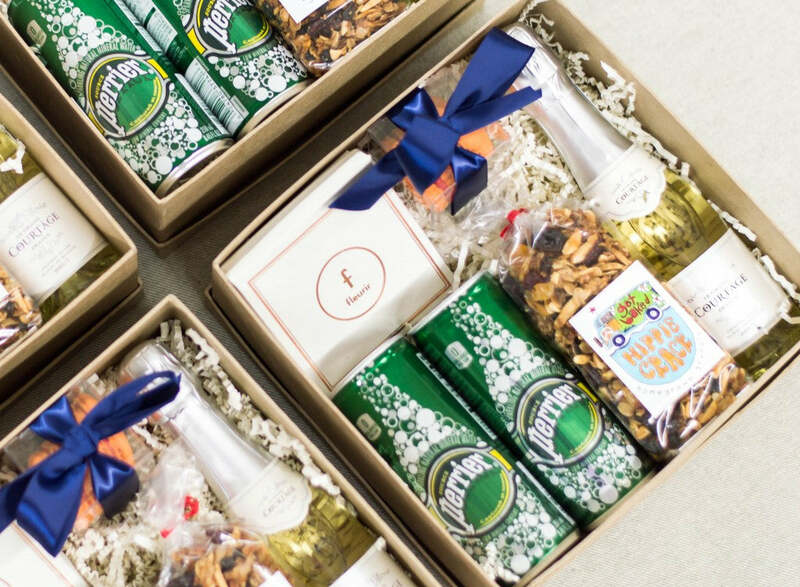 And for more information on custom gift design, head right this way!